Beautiful room and neighbourhood! Great hospitality: They made us feel like home! Very good at helping us with information! The breakfast was wonderful! Being celiac I was worried about food but those people found even a gluten free bread for me! Thank you for all! The owner, Tahir is a great guy. He will do anything to make sure his quest are comfortable. Highly recommended. 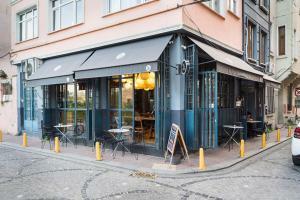 Facilities are good and clean and located in very colorful district of Istanbul. Tahir bey is great host who is ready to solve all the guests' problems. He also generioisly offered a free breakfast in nearby cafe. The facility location has a connection to Eminonu by bus and is also brilliant to explore Golden Horn (e. g. Eyup). Authentic view and design, located in the old house with the sence of ages. Perfect location. 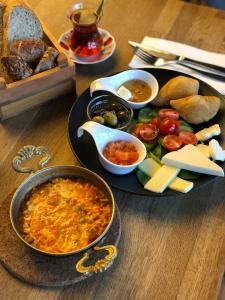 The owner is very helpful and polite, fast Internet connection, huge portions for the breakfast. If you want to escape from touristic places and touch the aicent Turkey, this place is for you. The breakfast, served at the nearby Balatkapi Cafe from 9 am on, was perhaps one of the best breakfasts I had in my entire life. It's a must if you're in the area. A bus stop is close by and other neighbourhoods are very easy to reach by public transportation. The neighbourhood is certainly worth a look, at least for a day or two. We got what we were expecting. Lovely room, you Coud see the river from the window. We got the green room at the first floor. 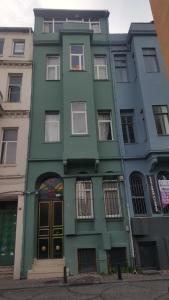 Classic building of the balat neighborhood. Great area, lot to see. Very alive during the day, not so much in the nigth. Easy to get to the center by bus. You can also walk. Greatest host ever. Everything was great! Thank you Tahir bey for being so kind and helpful! I highly recommend this place. Private charming room with bathroom, water presión and temperature was great. Central heating and a very comfortable bed. The house is in a charming Neighborhood with nice cafes around. Public bus really near. Tahir, the manager, is really nice and helpful with indications about the city. I’ll definitely come back. This is our second time staying here . 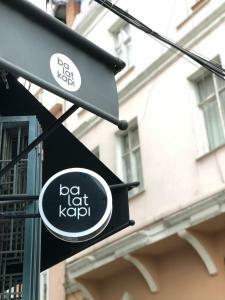 The hosts are amazing to deal with and Balat is such a lovely area to stay in . This time we were on the top floor with a great view of the Bosphorus . 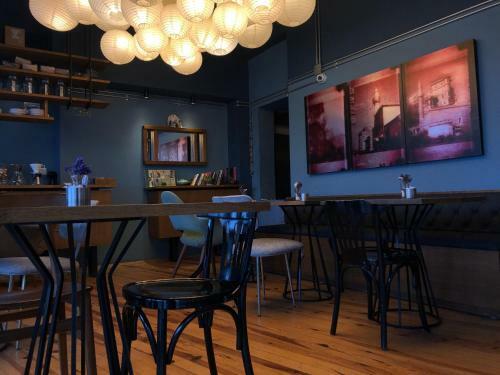 We would definitely recommend this place and can’t wait to return for another cafe crawl ! Lock in a great price for Akin House – rated 8.8 by recent guests! Featuring free WiFi, Akin House offers accommodations set in 5 different buildings 100 feet from each other in Istanbul. Each building is more than 75 years old and is either a historical Christian or Jewish house. Suleymaniye Mosque is 1.3 mi away. A refrigerator and kettle are offered. Towels are provided. Halic Congress Center is 1.3 mi from Akin House. The nearest airport is Ataturk Airport, 7.5 mi from Akin House. When would you like to stay at Akin House? This apartment has a large antique double bed, a wardrobe, armchairs, a mini-fridge, a kettle, a dressing table and a private bathroom. This single room has a private entrance, a single bed, and armchair and a mini fridge. 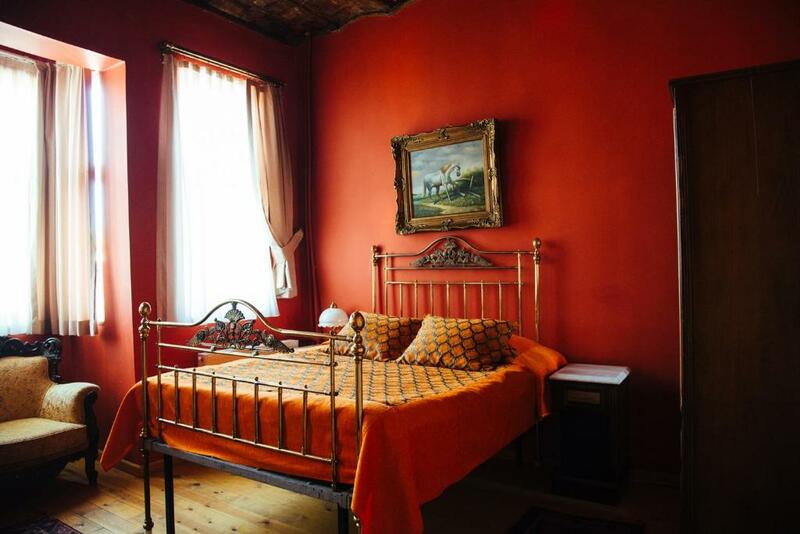 This triple room has a balcony with a view of Golden Horn and Iron Bulgarian Church. There is a kitchenette with a microwave, fridge and cooking utensils. It also features 1 double and 1 single bed. This double room has a kitchenware, private entrance and oven. This twin room has a mini-bar, seating area and view. 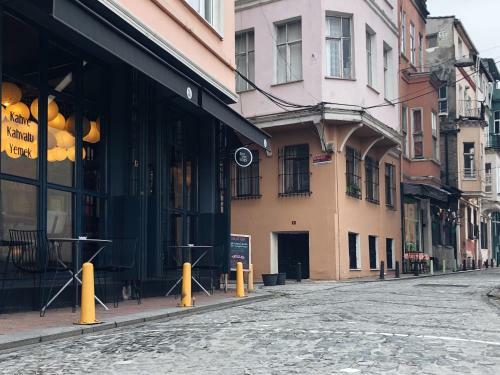 Akin House is a collection of 2 historical houses in Ferner – Balat on the European Side of Istanbul. 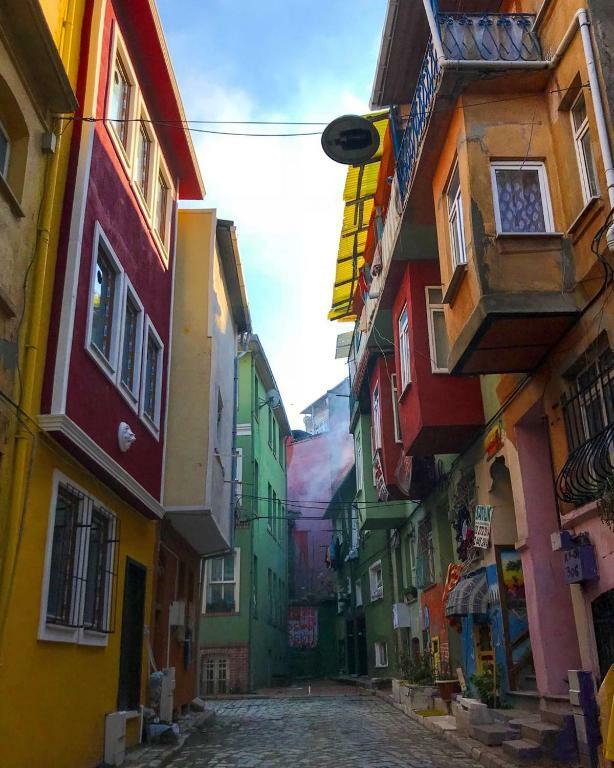 Ferner - Balat is one of the oldest neighborhood in Istanbul, traditionally, Greek, Armenian, and Jewish. There is a spot on the hill where you can see a mosque, a church, and a synagogue simultaneously. It is protected by UNSECO and undergoing a period of revitalization. Ferner – Balat is one of the most charming neighborhoods, local and real, rich in history and character, artistic and full of inspirations. 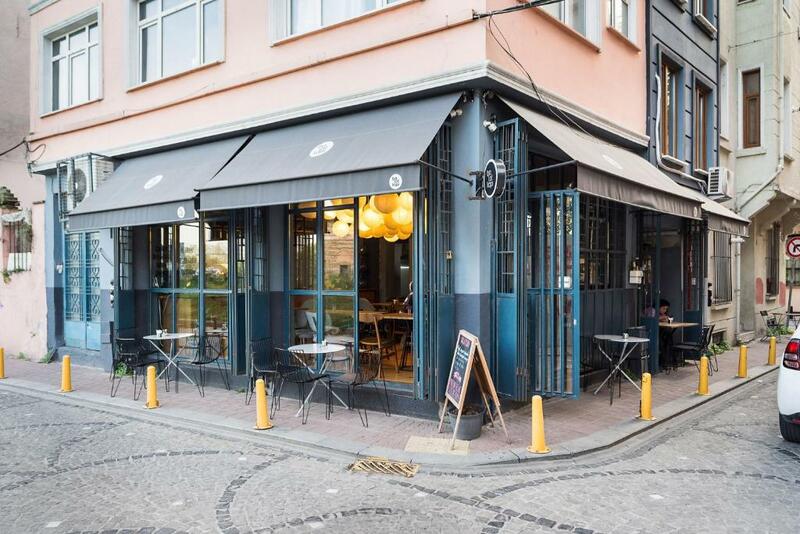 Conveniently located 3km from Eminiou / Sultanahmet, and major tourist sites, Akin House is great for travelers who want an authentic experience, away from the tourist hustle but close enough. It is the ideal place for artists, writers and creative types in search of inspiration or that quiet place to finish the book, film, and creative project. Many of the units include a small kitchenette. Akin House is open to 1-3 month stays for artists and writers. Please email for details and rates. 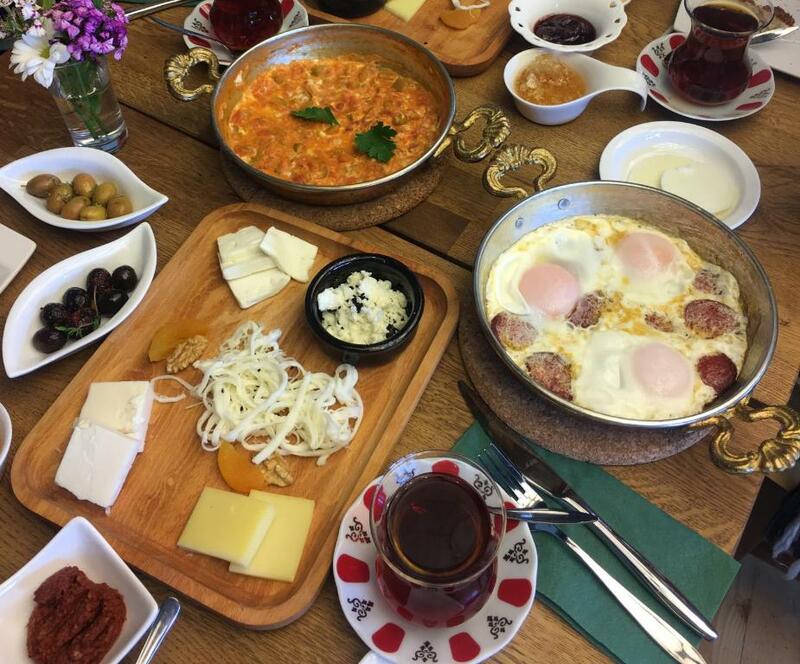 Full Turkish breakfast is available at a local café with special discount. Managed by Tahir (Turkish), with over 15 years of experience in hospitality, Jen (Aussi Expat), operations manager for one of the pre-eminent International travel companies, the guests of Akin House has an unparalleled source of knowledge and resources at their disposal. Area Info – This neighborhood is a great choice for travelers interested in monuments, architecture and old-town exploration – Check location Excellent location – show map Guests loved walking around the neighborhood! House Rules Akin House takes special requests – add in the next step! Akin House accepts these cards and reserves the right to temporarily hold an amount prior to arrival. Please inform Akin House of your expected arrival time in advance. You can use the Special Requests box when booking, or contact the property directly using the contact details in your confirmation. The cleanliness was not quite up to what I expected and I found quite a few ants in the bedroom. I was out for the day and only informed the host about the issue after I left. He was very apologetic and I trust the issue is fixed by now. This is certainly something that can happen, especially in an older property. I don't hold it against the very helpful host, but I thought I would mention it for the sake of completeness. My room was on the ground floor, which meant that light and noise from the street came in, so I would not recommend this property to light sleepers. I like everything about the Hotel and location. What I did not like is not related to the hotel but is the fact that many people in Istanbul were trying to rip us off! The owner Mr. Tahir is very kind and attentive. I can not say that I did not like anything related to the this Hotel. Location is great and price is reasonable. Highly recommended. It was all great . The communication with the host was excellent. We immediately felt at home. The property is a traditional wooden house with thoughtful decoration. The neighborhood gives you a cozy local feeling. Plenty cafes-restaurants in walking distance. When arriving, the host took us out for a late-night soup and gave us an in depth insight into the multi-religious history of the neighborhood. I love the way the host accommodates his guest. He’s very helpful. Location is excellent. We wanted authentic experience and location and that's what we got! 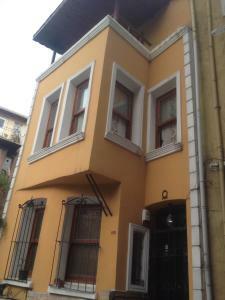 Fatih is really nice quarter and our host Tahir was really nice and helped us with everything we needed to manage. I got what I paid for, the host was super nice. Very comfortable place to stay. It is located in "european" district. A lot of aesthetically pleasing caffes around. The host is very welcoming. Recomend to stay at one of his places.